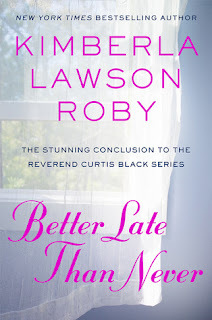 My Series Sunday pick is Better Late Than Never, the conclusion to the Reverend Curtis Black series by Kimberla Lawson Roby. Here we are fifteen books later when this family saga comes to an end. It begins with Curtis getting devastating news about his estranged sister. Meanwhile, Charlotte has her hands full with their unruly 12-year-old daughter. The overwhelming urge to take a break from church is literally driving Charlotte to drink. Finally, good and evil are main characters. Was it wrapped up nicely in a tight bow? Hmmm, depends if you are a wrapping paper or gift bag kind of person. I personally prefer gift bags. I like to dig in and pull out goodies one-by-one. Within the first few chapters, Kimberla masterfully gives readers a reminder of what happened over the years with all of the characters: from Reverend Curtis Black himself to his mistress-turned-wife Charlotte, on down to their daughter Curtina. Better Late Than Never could easily be read as a standalone but it won't have the same impact as a fan of the series since book one. Those goodies I mentioned will not have the same effect either. Was it a stunning conclusion like the book cover says? Not really. But at this point, nothing stuns me any more when it comes to Reverend Curtis Black, his family or mega-church congregation. 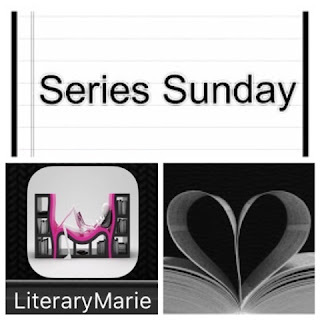 Money, notoriety and power have always been the common theme in this series. Every possible scandal has been explored already. Let's keep it real—it was time for this series to end. Yet in Better Late Than Never, Roby focuses on an unexpected past throwing fans for a loop. Revealing Curtis' horrific childhood secrets shows how it ties into the Black family today. Now it all makes sense! Happy Early Pub Day, Kimberla Lawson Roby. Place your pre-order or library hold, bookhearts. Better Late Than Never will be available Tuesday, July 31.